This level has medium difficulty. 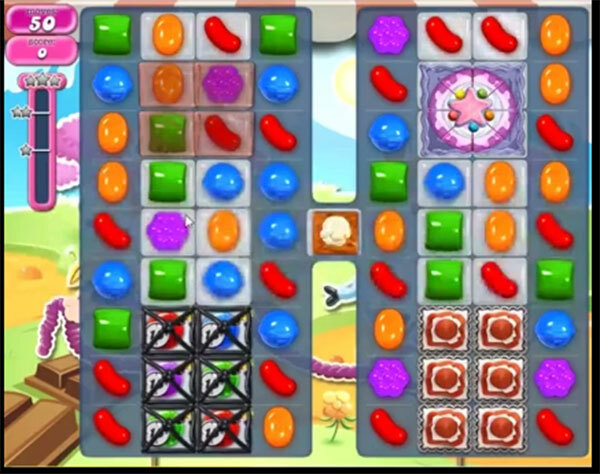 For this level try to play near to cake as it will help to break the blocker and jellies. Or make striped candy and combine with other special candy to break more jellies and time bomb. After play with remaining jelly candy to break them all. Yes, boring the one in the middle you don’t get! Indeed again a boring level, I stuck too long on it.